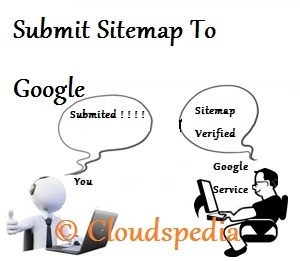 By the word Sitemap this thing will immediately come to your mind about the Map Of The Site. As you have seen the map of the World , Your Country, Your State/Province, Your City. By seeing the map you travel from side to side. Like this there is a sitemap of your blog/site. You must submit it to the Google to get your search results. In this tutorial I am separating this tutorial to 2 basic parts. In the first step you should verify your blog/site on Google Webmaster Tools. The second is to submit it to Google. Now You will see congratulations message that you've successfully verified your blog in webmaster tools. Now it's time to submit the sitemap. Congratulations You Have Done ! ! ! !